1994 : Jean-Yves GRANDIDIER created VALOREM as a research consultant in renewable energies. 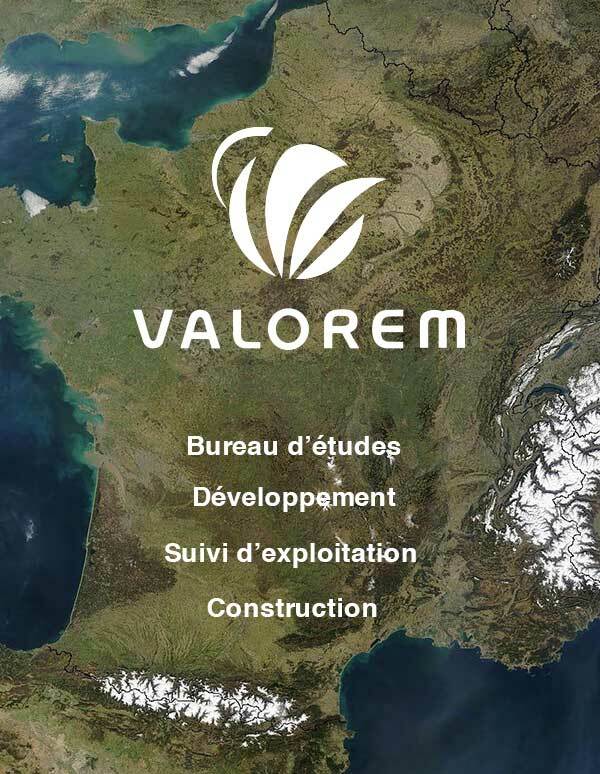 2001 : Valorem developed its expertise in wind park projects and opens an office in Carcassonne. 2004/2005 : 70 MW of building permits were granted. 2006 : Commissioning of wind parks in Dio et Valquières, Monts Bergerons and Chicheboville. 2007 : Creation of VALREA the construction subsidiary of VALOREM. New equity partners, FCPR Capenergie (CREDIT AGRICOLE group), Avenir Entreprise and Grand Sud Ouest Capital signed up for 6,5 million euros. We started to develop our expertise in methanization, water and solar power. Beginning of the construction of the first wind park fully owned by Valorem. 3 wind park projects were developed in Romania (90 MW). 2008 : VALOREM became a green energy producer. VALOREM’s equity partners including FCPR Capenergie, Avenir Entreprise (Caisse des Dépôts et Consignations+OSEO+Natixis) and Grand Ouest Capital signed up again for 16 million euros. Beginning of the construction of 58 MW wind parks fully owned by VALOREM. 2010 : Arrival of the 100th employee in Valorem. VALOREM inaugurated 10 fully owned wind farms. 2011 : Creation of VALEMO, VALOREM subsidary for O&M and supervision of green energy plants. 2012 : Development of crowdfounding solutions for green energy projects. VALOREM started to export its expertise in East Europe and Africa. 2014 : VALOREM celebrated it 20th birthday and obtained the AFNOR certifications ISO:9001 and ISO:14001 for the following activities: PROSPECTION, STUDIES, DEVELOPMENT, PURCHASE, FOUNDING, CONSTRUCTION, SALES AND OPERATION OF PROJECTS AND RENEWABLE ENERGY PLANTS. 2015 : Thanks to a partnership with Lendosphere, VALOREM raised almost EUR 2 million in crowlending campaigns to finance its green energy projects. 2016 : VALOREM entered into an agreement with the leading British investor 3i Infrastructure plc and French local investors, for a total investment amount of EUR 74 million.